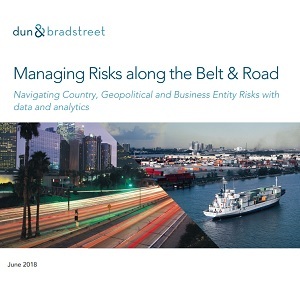 How are the finance leaders of today managing risk, and what role does data play in their current and future risk management efforts? 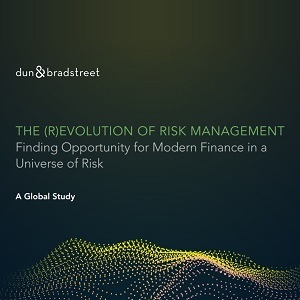 In 2018, Dun & Bradstreet surveyed 1,100 finance professionals in roles ranging from end user to executive within companies of all sizes in the US, UK and Canada, the study revealed that although many finance teams are beginning to leverage modern tools to manage risk, there is much work to be done to advance the effectiveness and business results of risk management approaches in general. Download the full report to find out more. 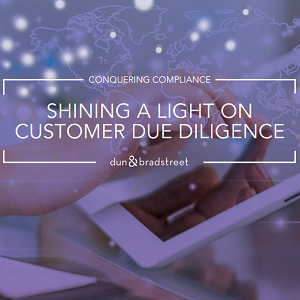 Dun & Bradstreet Business Credit Reports are trusted around the world for objective, comprehensive credit information that tells you exactly what you need to know about your partners and vendors. 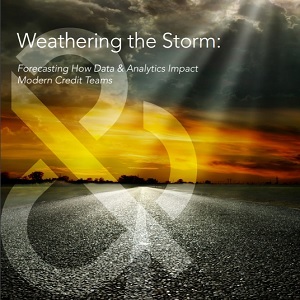 With predictive analytics and powerful performance-based scores, D&B Credit Reports are a deep-dive into any company’s financial and credit risk situation. 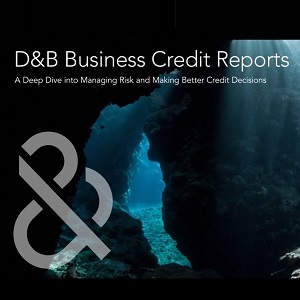 Download this guide to find out how data and insights in D&B Credit Reports can help you manage risk and make better credit decisions. Beneficial Ownership Identification is crucial, particularly in light of the latest raft of international Anti-Money Laundering and Counter-Terrorism Financing (AML/CTF) regulations. But peeling back the complex legal structures can be challenging. 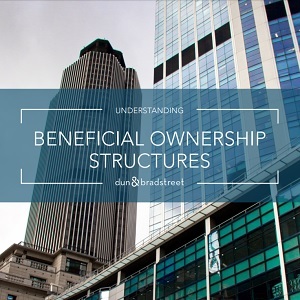 This guide will help you better understand beneficial ownership legal structures and their complexities, while demonstrating how data and analytics can help improve the speed and accuracy of UBO identification. You will also learn about the organisational benefits of that analysis. 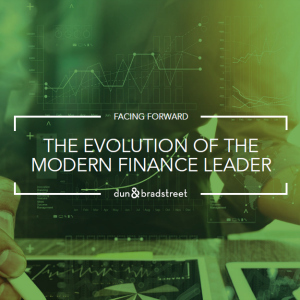 In the past few years, the winds of change have pushed finance leaders out of their roles as cost controllers, and they're now seen as key drivers of business growth. They've redefined their position to focus on being strategic advisors within the C-suite - getting face time with the CEO to discuss the direction of the business and partnering with the CIO on new technology investments. 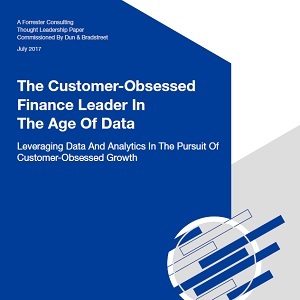 Download this eBook to find out how finance leaders can leverage data and strategy to guide their organizations toward a culture of data-driven decisions. While the GDPR is not a wholescale change of data laws, any organization that handles personal data on EU residents needs to have a full understanding of the GDPR requirements to be able to review their processes and take any required remedial steps to ensure compliance by May 2018. The amount of preparatory work will depend on the sector in which an organization operates, with data-reliant industries such as financial services and retail likely to be processing large amounts of personal data. What this means for your business? Download this whitepaper to find out the 6 'need to knows' for businesses preparing for the GDPR. 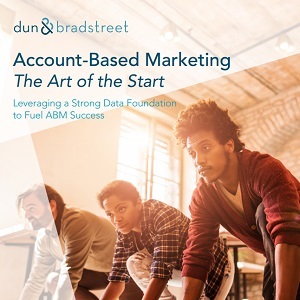 Account-based marketing (ABM) is gaining ground among B2B marketers. In fact, more than 90% of B2B marketers believe ABM is absolutely essential. And it is for good reason: ABM's ROI reportedly outperforms all other B2B marketing investments. However, labeling ABM as a marketing program is a misnomer. It is really a business initiative that requires marketers to collaborate closely with other teams, including product, sales, IT and customer service. 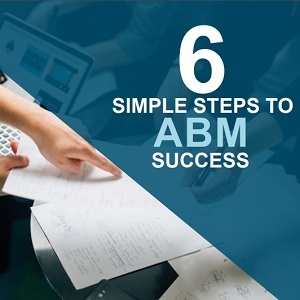 Download this guide to learn about the 6 steps your marketing team need to take in order to be ABM-ready. The leaders of today are right to consider evolution of FinTech in their corporate strategy. There is no doubt that FinTech will continue to disrupt - that disruption will bring both risk and opportunity. The journey to FinTech adoption in business systems and processes is not like other journeys, however. This journey has a 'from' and a 'to' that will change as we continue to evolve. 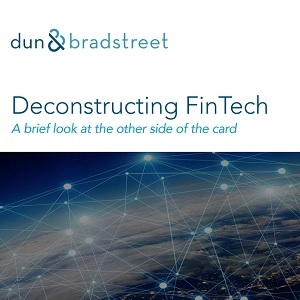 In this article, Dr. Anthony Scriffignano, SVP, Chief Data Scientist of Dun & Bradstreet discusses the future of FinTech, download now to find out more. 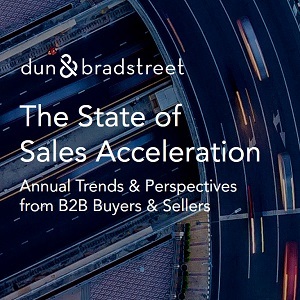 Sales acceleration is a discipline that delivers refined information to make business-to-business (B2B) data more current, connect it with buying signals, and provide it with relevant context. 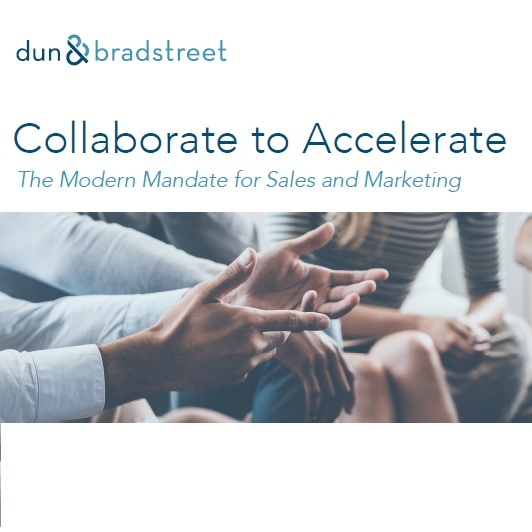 To better understand it current state, Dun & Bradstreet commissioned a study in 2017 and gathered insights from over 300 sales & marketing professionals. Download this research study to find out more. Master Your Data. Master Your Business. 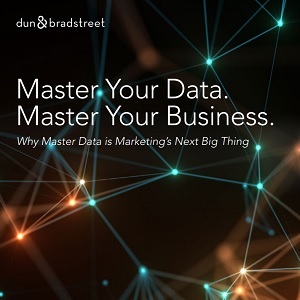 Why Master Data is the Next Big Thing for Marketing. Data is the most valuable asset of your company. Once the sole responsibility of the IT team, it now plays a vital role in shaping and driving the most fundamental sales and marketing decisions. The Marketing function is now becoming aware of another data-driven concept, one that is generating plenty of buzz and helping marketers make sense of all these new data trends. It is called Master Data and it will permeate the marketing landscape quickly. 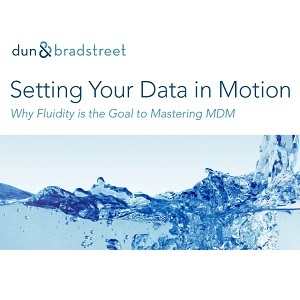 Download this whitepaper by Rishi Dave, CMO of Dun & Bradstreet and find out the next steps on the road towards mastery. 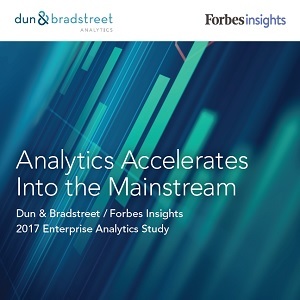 In 2017, Dun & Bradstreet and Forbes Insights surveyed more than 300 executives across a broad range of industries: the study examined the trends in analytics, the usage of data in multiple departments, and the need for investment in the future. With enormous quantities of data flooding today's enterprises, many analytics professionals fear their initiatives will fail without proper support. In fact, over one-third of those surveyed believe that more can be done to champion a data-driven culture. Download the study now to find out more. There has been a growing need for Finance Leaders to expand their scope: to broaden their shoulders and bear the burden of increased responsibility - their role have become more integral to the success of the business than ever before. To understand more, we gathered views from 200 CFOs and financial directors, exploring everything from the roles they perform to the issues that cause them concern. This study shines a light on the issues that will shape the future of the finance function within the modern enterprise. 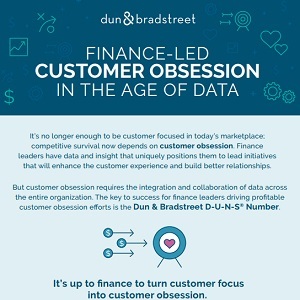 By using data to automate or semi-automate their processes, modern credit and finance teams can effectively deliver more with less resources. As the responsibilities of credit and finance teams grow, so does their potential to innovate and spur growth and value for the organization. 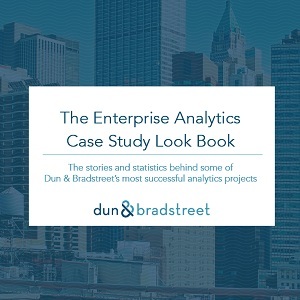 Download our latest eBook and learn more. The alignment of sales and marketing is way behind schedule. It is disappointing, but true. For more than a decade, technology vendors have been buzzing about it. Yet, even today, as B2B organizations strive to align sales and marketing teams with smart technology, they cannot quite manage it. 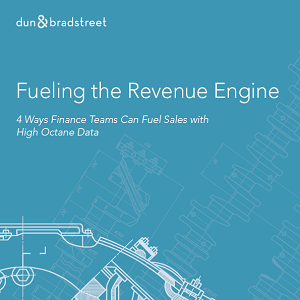 This whitepaper outlines three customer-centric milestones that sales and marketing teams must tackle together to create a faster path from prospect to profitable relationship: identify the best win-wins, simplify the buying experience, and execute at buyer speed. 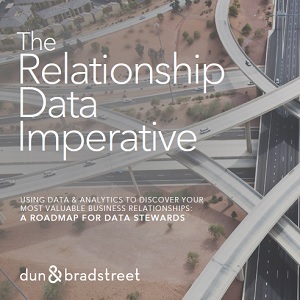 Explore diverse examples of how Dun & Bradstreet applied the latest statistical methodologies to uncover the truth and meaning in data, helping global brands across critical industries enhance and scale their use of fact-based strategies to connect with the prospects, customers and suppliers that matter most. The Relationship Data Imperative: Using Data & Analytics to discover your most valuable business relationships. Data has been at the heart of what we do for almost two centuries. And while we have the largest global commercial database on the planet, our true value is to help our customers make better informed business decisions by uncovering and understanding their most strategic relationships. How do we do this? Download this eBook and find out more. Do you really know your customers, your vendors, and your third parties? You must today. Beneficial Ownership and Ultimate Beneficial Ownership (UBO) identification and verification are critical requirements for combating everything from financial crime, tax evasion and corruption, fraud and money laundering, to trafficking and terrorist funding. These activities are happening around the world at an unprecedented pace, and can have a devastating impact on an organization's reputation, value and bottom line. 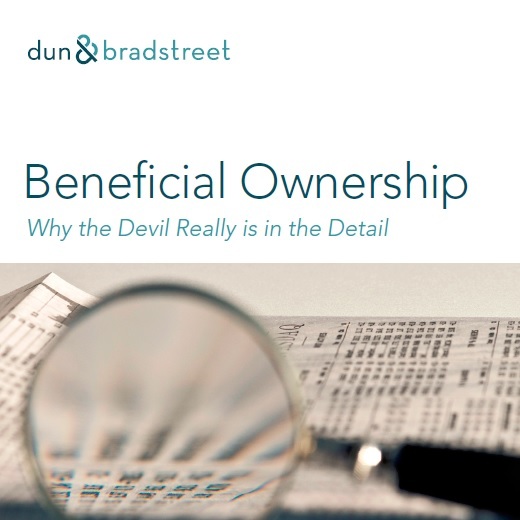 This white paper explores the issues and challenges of Beneficial Ownership. It highlights ways to gain confidence on ownership issues with customers, discusses the importance of a single customer view and role of data analytics, and showcases a master data management (MDM) approach that could improve operational efficiency and on-demand enterprise-wide risk visibility. Business-to-business (B2B) marketers who strive to personalize content today are doing more than dropping a prospect's first name into a promotional email. They're on a serious quest to deliver a relevant message, at an optimal time, through a preferred channel and device. 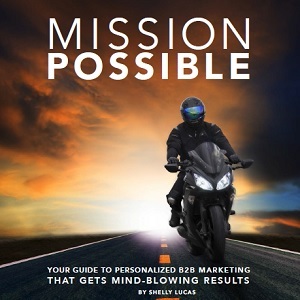 Download this eBook and find out how you can create a seamless, personalized customer experience that gets mind-blowing results. Customer segmentation has been a mysterious black box to many businesses today. There are endless ways to mix and match data points, but finding and aligning on a customer segmentation strategy that positively correlates with purchase behavior and drives top-line growth is the result of a strong command of enterprise data, a dash of math and a sprinkle of art. 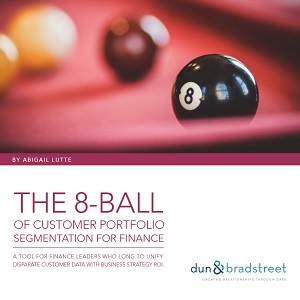 It's a powerful business intelligence that finance should not only contribute to, but co-create. Download and find out more. 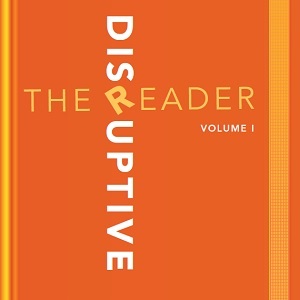 This reader is dedicated to the marketers who are courageous enough to ask probing questions, who truly wants to become a value creator and game changer for their business. Read more and find out which parts of the past are no longer relevant to the future and start optimizing your marketing strategy today.